Cathers Home is Aspen and the Roaring Fork Valley's premier full service Interior Architecture & Design Firm and Home Furnishings Store. With 3,000 square feet of retail space, 100's of vendors, an extensive library of designer fabrics and an in-house team of professional Interior Designers, Cathers Home is your premier one-stop resource located in Basalt, Colorado. With over 15 years in the Roaring Fork Valley and the experience and opportunity of working with sophisticated clients from around the world, Cathers Home has become a leader in helping clients create their dream home. With an in house team of designers, Cathers Home works collectively to pull together every aspect of your interior design project. Whether your project is residential, commercial or hospitality our professional full service design team is ready to assist you in any and all phases of your project. 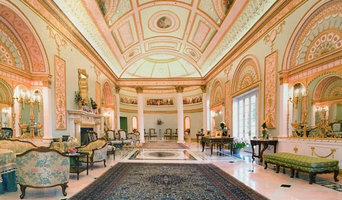 We are also a local resource for interior designers. We carry many top furniture and accessory lines and offer competitive pricing and the ability to see and feel the product instead of driving to Denver. We offer a complete selection of home furnishings, rugs and accessories. Cathers Home services the communities of Aspen, Snowmass, Basalt, Carbondale, Glenwood Springs and beyond. Visit us today, in Basalt, Colorado! 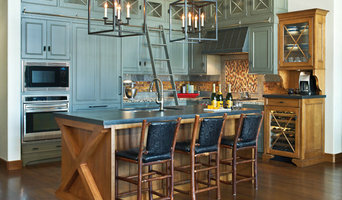 Carol Moore Interior Design, Inc.
From classic elegance to mountain modern, Moore & Mink, Inc. can help you achieve the look & feel you want for your home. 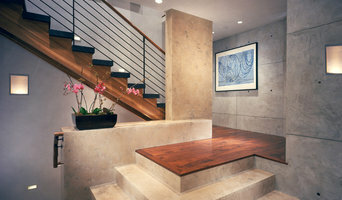 We specialize in space planning, custom furniture, design & more! Located in Aspen, Colorado as a full-service boutique firm specializing in timeless interiors, Robyn Scott Interiors focuses on design concept-to-completion through ARTITEXTURE. Her approach has proven effective in luxury residential and hospitality projects throughout the United States and Mexico. Robyn and her team pride themselves on their ability to create value for their clients and their ability to deliver a beautiful end product on time and on budget through ARTITEXTURE. Through collaborations with architects, Janey Lattimer has gained an understanding of the design process from research to schematics to working drawings, specifications, and bid documents. Only 20 minutes from Vail! From home to decor to full interior design, Mountain Comfort Furnishings offers a custom-tailored experience for the design and decoration of your home. At Anne Grice Interiors, we believe luxury is in the details. Our sophisticated yet functional style is inspired by the Colorado lifestyle and mountain landscape. The spaces we design are highly customized to each client through a skilled use of color, texture, and pattern. We strive to not only realize the vision of each client but to exceed expectations. Leave the details to us. Founded in 1996, Anne Grice Interiors is an award-winning, full-service interior design studio specializing in residential, commercial, and hospitality design and remodeling. Based in Aspen, our firm has worked in the Roaring Fork Valley for over 19 years. Anne Grice Interiors has grown steadily and deliberately; the firm has consistently chosen long-term client satisfaction over all else as a guiding principal. Anne Grice Interiors works with homeowners to design luxurious yet functional interiors that fit the Colorado lifestyle. We specialize in new construction and remodels. COLLECTIVE Design + Furnishings was founded with an innovative spirit and a simple goal: make it easy and enjoyable for Summit County homeowners to create inspirational, contextually-relevant spaces as their backdrop for elevated living. To fulfill that mission in a way that fits you, we offer full-service interior design through an award-winning team of designers and a retail store, featuring a designer-curated collection of home furnishings and accessories, in Summit County, Colorado (opening Fall 2018). Because, as our designers can attest, everyone has unique needs, preferences and ways to realize their vision of home. Contact us at info@collectivedf.com for more information. Colorful, warm, inviting…all of these words describe not only the fabulous work of Basso Interiors but the designer herself: Elizabeth. Always striving to delight and inspire her clients, Elizabeth Basso is adept with a variety of styles. And, with over 20 years of experience in the industry, she has worked at all levels of a project; from a one room remodel to a new construction build of 10,000 + square feet. Basso Interiors excels at customizing each space to the passions and sensibilities of the client, always considering their lifestyles and preferences. Originally from Pittsburgh, Pennsylvania, Elizabeth is hard working and delivers clear, concise plans with thoughtful touches. A textiles lover, she has a unique eye for the classic and timeless. Whether you are in need of an art consultation to find that perfect piece for your space or a full renovation of your residence, Basso Interiors can make your ideas a beautiful reality. Creating the perfect living space is a very personal adventure. The philosophy of The Callicrate Company is to emphasize the importance of visualizing our clients' thoughts and ideas in order to create an environment that exceeds their expectations. Imagine....we'll do the rest! The Callicrate Company ensures that each client receives our undivided attention. In order to attain this highest level of service, we accept only one or two projects at a time. The Callicrate Company has over 27 years of design experience that includes new construction, remodeling, space planning, specification of interior fixed finishes and furnishings procurement. We understand all aspects of creating an atmosphere that reflects our clients' dreams and expectations. Sherri Spykerman Interiors offers a collaborative design service creating beautiful residential living spaces to suit your lifestyle and aesthetic. Sherri likes using design inspiration from textures in textiles and color stories in clothing to influence interiors. Each project starts by listening to the client’s needs, desires and wants to create the initial design concept for their home, reflecting their unique personality. Sherri Spykerman Interiors is just me, Sherri. I work one-on-one with my clients to create the environment that defines their lifestyle within their budget. I offer a full spectrum of design services from concept to installation: •Determine client’s needs, create design direction and prepare scope of work •Create furniture floor plans followed by color & design schemes to include architectural features, finishes, fixtures, colors, fabrics, furniture, lighting, window coverings, accessories, •Produce the necessary drawings to ensure that the interior design is executed as conceived. •Select and order Interior Furnishings to include area rugs, fabrics, furniture, custom furniture, lighting, accessories, wall treatments and window coverings. •Select and provide Finish Schedule of Interior Hard Finishes to include flooring, painted finishes, tile and countertops, cabinets, hardware, plumbing fixtures and appliances, including kitchen and baths. •Coordinate and oversee shipping, moving and storage, and installation. •Coordinate with contractors and subs •Turn-key installation…the WOW factor •Compile Punch List and follow through! My clients consistently comment on my creativity, attention to detail and organizational skills. There are few things more satisfying than walking into a room that gives you a calm feel through the aesthetics and also knowing that everything is in its place, easy to find, right at your fingertips. Vertical Design LLC is a full-service design management company dedicated to meeting your interior design needs and goals for remodels and new construction projects. We specialize in cabinets, cabinet hardware, counter top selections, and many other areas. Jodi Thimsen has fifteen plus years of experience in construction and design management and is committed to providing clients with quality service that delivers exceptional results. Let our team help bring your dream home to life. It’s not our style to tell you what is or isn’t good design. After all, interior design is about relationships between people and things. Some of these can be learned… like how light plays with color, and how objects define space. But the most complex relationship is how you want your interior space to respond to you. This can’t be taught. It has to be discovered. And this is what we live for—helping you express your interior world in ways that are better than you imagined. You may have noticed from our portfolio that our design philosophy is different from other designers. They may have a signature style. We don’t, and we’re very proud of that. Every job is different—personal, and perfect in its own way. That’s our philosophy in a nutshell. Our approach is to bring your vision to life, only better than you could have imagined. We learn and listen until we truly understand how to apply our expertise to visually and spatially articulate your desires. The result is collaboration without drama, creating distinctive interiors that reflect your client’s personalities and lifestyle habits. From lighting to space to knowing when and how to break the rules, we’ll help you express your inner world. Small spaces are probably our best-kept secret, since the majority of our residential interiors are greater than 3,500 square feet. But the trend toward small and sustainable homes is one that we applaud. We love making 750 square feet feel like 1,500. My skills in both architecture and interior design give me the unique perspective to bridge the gap that can occur between design and construction. I understand the language of construction and how to translate a client's design ideas into construction documents.